Palmdale to residents: All elections are on! The City of Palmdale is reminding its residents that ALL the elections slated for Tuesday, Nov. 5, 2013 are on as scheduled, thanks to a California Court of Appeals ruling and denial from an LA Superior Court judge which soundly rejected the attempts of plaintiff’s attorneys Kevin Shenkman and Lancaster Mayor R. Rex Parris to halt them. The plaintiffs were unsuccessful in court on Oct. 16 in their latest attempt to stop Palmdale’s election, when the judge denied their request for a clarification of the Court of Appeal’s ruling on Oct. 15. 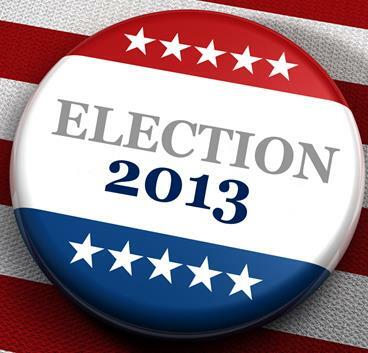 The election includes races for Mayor, City Council, Palmdale School District, Westside School District, Antelope Valley Union High School District, Antelope Valley Community College District and Palmdale Water District. The City of Palmdale’s election has been underway and absentee ballots have been mailed out and returned. A series of candidate debates has been going on for over a month and candidates have spent large sums of money on their campaigns. As indicated in the Court of Appeals ruling, Palmdale’s voting and tabulation will go forward, and the Certification issue remains to be decided on direct appeal. The Court of Appeals is prepared to decide the certification issue on a priority basis. No further court appearances are scheduled. Plaintiffs and the City will be filing closing briefs on the remedy issues simultaneously on Oct. 25; then each side will file simultaneous replies on Oct. 31. The judge will issue a final judgment sometime after the 31st. 11 comments for "Palmdale to residents: All elections are on!" william don’t you know that rex knows better than you and everyone else? silly billy. rex gave us a christian community – an eye in the sky – birds on the blvd – whopping debt – millions of dollars lost in lawsuits – a homophobic and anti semite commissioner – birth tourism – valley fever – he’s the gift that keeps on giving. I was wondering what you would do had you been in charge of Mayoral duties… Lets see line them up and let the public judge you the way judge others. Thanks, Son of the Anti-Res, what was I thinking? He’s as good a mayor as he was racing a go-kart. I don’t want a rotating mayoral position. Mayor Ledford has accomplished so much despite several recessions and the the obnoxious interference from Rex Parris, sleaziest of the sleaze. He has provided continuity in dealing with long range issues such as the High Speed Rail, getting the medical center, and various retail businesses for Palmdale. If we were to change mayors constantly, I doubt we’ve have half the results Mayor Ledford has produced. Whatever the final outcome, Palmdale will be just fine. We’ve had a good city government all these years due to the leadership of Mayor Ledford and good government will continue from his example. He’s set a very high bar. That’s the nature of true leadership, it continues on without you as people are inspired by what they see as possible. Remember when JFK said we were going to the moon by the end of the decade? Well, we did long after he was gone. That’s true leadership. Mayor Ledford has set an example for good public service for members of Palmdale’s city government. I met Palmdale’s first mayor, Larry Chimbole, at the Chamber of Commerce luncheon debate. He is also a true leader who started Palmdale with a commitment to honorable public service that continues to this day. Parris, on the other hand, is a greedy, megalomaniac and narcissistic bully who quickly becomes a victim when he needs to be one. There are really no redeeming values present in Rex Parris other than money to buy his way into power. You can quote me on that one. Not going to down play what Ledford has done, but I am 22 and he has been in office for 23 years. That seems kinda too much. I have only known one mayor my entire life. So lets bring in new ideas you dang baby boomer! Mayor Ledford was getting a lot done for the City of Palmdale while you were in diapers and it sounds like you still might be wearing them. 23 and he knows it all. What new ideas? You haven’t put any forth, have you? You mean finding a way of renovationg our ugly downtown. Or may be using the old Tamirisk Elementary school campus ( the one on 20th East and Q-6 for you Westsiders) as a satellite branch for AVC, be the liason between PSD and AVC. Besides building the new library as planned on the Oasis Park grounds why not place it in the empty building on the old Chilis shopping center. Should be way cheaper alot of IE cities have done it that way. @ Jay- Where have you been? There is a nice new restaurant where Chili’s once was. The city also doesn’t have a lot of say when it comes to PSD and AVC. Remember that bond that was passed in Palmdale to build an AVC campus here but all that money went to the Lancaster campus. revitalizing Palmdale Blvd also takes money and the partnership of the owners of the properties. @les yeah I know but I don’t know the name of it so I referee to it that way. But have you seen the building behind it? It’s empty minus 3 spot. Perfect place to put a library besides building one from scratch. Yes we don’t have that power it the mayor can easily have both side seat down . The building is there probably bigger than the current one on PMD and 15 east. Have them seat down and use diplomacy is what I’m saying. I wasn’t referring to PMD blvd but the area between q and r any Sierra hwy and 10 east . Area is an eyesore with no big business. Just like they do with the westside promote business there. Enough with the westside it’s developed enough while only having a quarter of the population.